First on e is free. Thats what they told me. Well, actually they told me that I could only get six items or less from the library at any one time, but they were free in that I still had to return them every 4 weeks for renewal. That was my gateway into reading, letting me loose in a wonderland of forbidden knowledge and experience. Yes, this was pre-internet. Didn’t get my first computer until 1994 and back then Google was still a fantasy land far far away. When I converse with serious readers, we often lament the fact that “Twilight” and “Fifty Shades of Grey” are massively popular pieces of crap, and that everyone should start reading real books like “Slaughterhouse-Five” and “Der Prozess” because those are real books. See… So real that they justify underlining. But we are being snobbish and elitist (still right about the books though, they are crap) and we are doing the act of reading a disservice. The act of reading should be encouraged and supported, regardless of interest. In those early years the local library supplied me with books on Ninjitsu (mostly by Stephen K. Hayes), the Yoko Tsuno series, etc. and never was an eyebrow raised on my choices in literature (at least by adults). Had I been ridiculed or repeatedly told my taste in books sucked, my attitude might have soured, and my choices in books might have been guided less by interest and more by a need to conform. 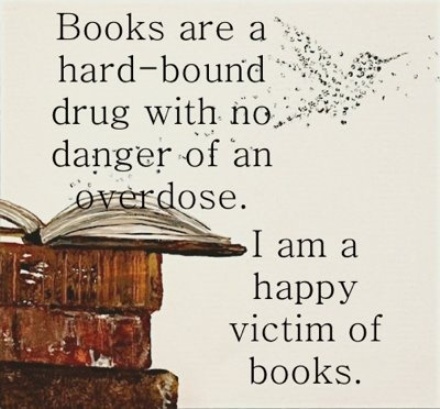 Or I could have just given up on reading books, and become one of those proud non-readers of books aka idiots. What we should do, is to consider crap-lit a form of ‘Gateway Literature’. Something to get the ball rolling on reading. Whether you read “Fifty shades of grey”, “Twillight”, “-insert generally accepted crap-lit here-“, it’s irrelevant as long as you are reading and thinking about what you read. Regardless of message, reading is generally good. Reading becomes better if you enter with an open but sceptical mindset. Based on my personal experience, reading with a sceptical mind made me a better thinker long term. I propose the following: whenever you hear somebody praise a piece of crap-lit they are currently reading, show an interest. Genuine interest in their experience. Ask them questions about it and engage with them. Was it good or bad? Why did they choose to read it? What else do they read? What do they get out of it? Build a shared respect and love for the written word and the value of reading. Once their relationship has matured, then you can introduce new/better literature to the reader. You might even find a new respect for what they read. But what do you think? Is gateway literature a thing? How do you encourage reading among your friends and family? If so, what is your go-to book that you push on people. Mine is usually Small Gods (you should totally read it btw)… Let me know. Next post will be up on Monday the 9th of March (around 16:00 GMT).